Hooch is a 14 year old sweet and gentle boy, who’s human found himself homeless. Hooch was given to a group that provides pet food to people, so they can keep their dogs, until Hooch’s human got back on his feet. 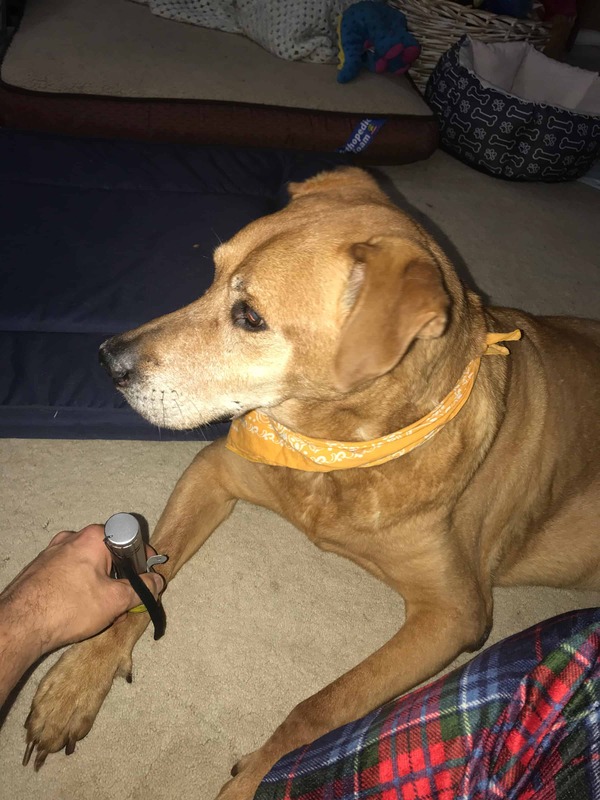 Once the human got back on his feet, he no longer wanted Hooch. The group reached out to BDRA for help and Hooch was brought in as a foster. 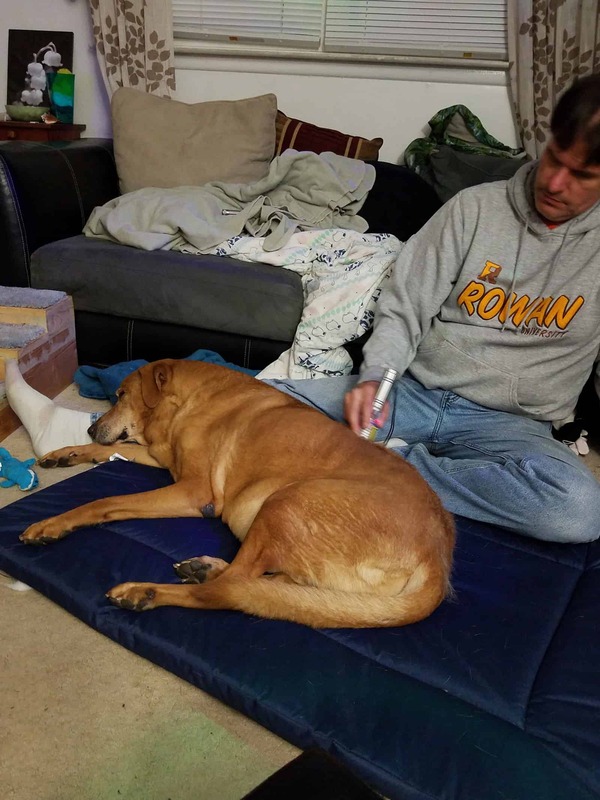 Hooch is currently undergoing aggressive pain management (multiple pain meds, joint supplements and cold laser therapy), to decrease Hooch’s pain and improve his quality of life. Hooch has made great improvements since he has been in foster care. He can now walk and even trot around the back yard keeping squirrels at bay. Hooch also plays with his foster brother (only for a minute or two, but he plays). Hooch is forever in our hearts. Severe Arthritis in both hips, knees, shoulders and wrists. Hooch may also have arthritis in his back and spine. Hooch is looking for his forever home. If you think it could be yours, read more about Adopting from BDRA before submitting your application below. BDRA relies on your donations to rescue blind dogs around the United States. 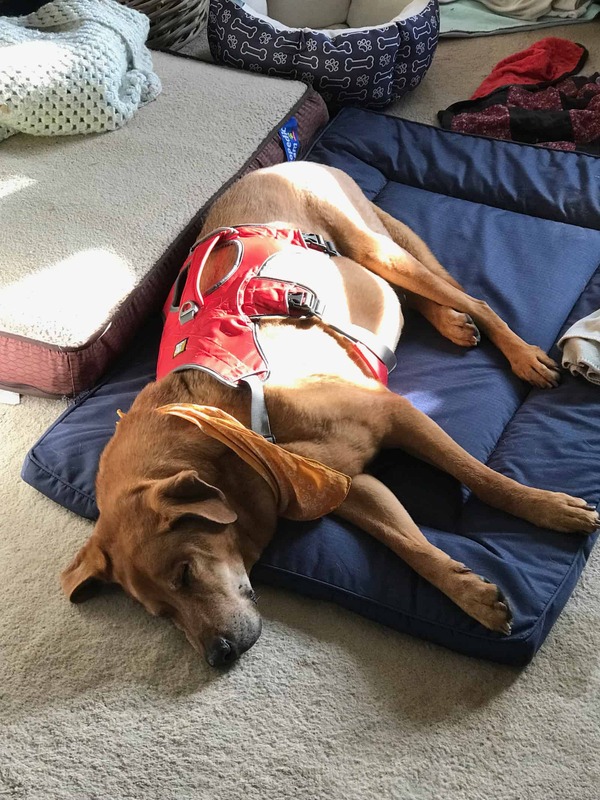 Please consider giving in support of Hooch.